People plan to visit different holiday spots, but those parents who cannot manage a long holiday look for great places nearby to enjoy over the weekend. One such great and unforgettable Picnic Spot is Burhani Recreational Park. Located at the hub, this exclusive water park is built on international standards offering best aquatic attractions for its visitors. 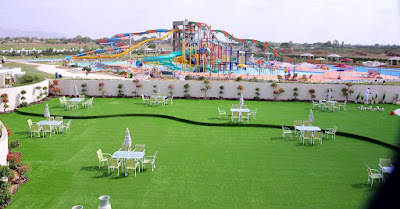 At Burhani Recreational Park people of all ages can experience the fun and the thrill of water rides. Splashing into the water, zipping down the water slide, rocking in the wave pool or just floating on the tubes are few of many activities at the park. The invigorating ambience and supportive staff adds up to the fun and makes it an ideal place to visit in summer vacations.